Thank you all for your well wishes. Things went better than I expected this morning! All is stable for now! YEAH! 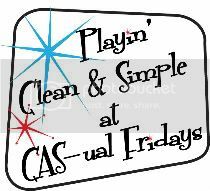 SO, I am going to cautiously move forward with my Blogabration! 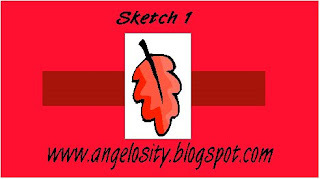 Every day until November 7th I will supply a sketch or challenge for you to try. Then be sure to come back and comment on the challenge post with a link for me!! Your name will then go into the drawing for a HUGE basket of prizes to be given away at the end of the celebration. You may make up to 2 projects per challenge if you wish. Another way to be entered is simply to comment! Even if you don't choose to make a card, comment daily on the challenge post answering the question of the day and your name will be submitted. Of course playing along will increase your chances! I hope you play! ETA~ Due to it's size the grand prize will be delivered only to US, Canada or APO residents. Other smaller prizes are open to anyone! 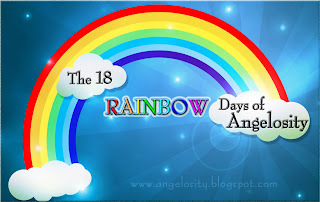 I bet you're wondering why I am calling it the RAINBOW days of Angelosity. Well, each day I'm adding to the prize basket 7 items. And those 7 items will be a different color each day! Yes, I have found 18 different colors. Today's color is RED. I've got 7 red stamping/scrapping supplies to add! A pic coming as soon as I can. But for now, you've got the sketch so run with it! ETA~You can always go back and answer the daily question or do the daily challenge. You have until midnight 11-7-08. Today's Question is: What is your favorite color? NO ANONYMOUS ENTRIES will be included in the drawing. PLEASE LEAVE YOUR LAST NAME or EMAIL ADDRESS on ALL of your comments PLEASE so I CAN IDENTFY YOU. There are too many people named Lori, Michelle, Sue, ETC. YEAH! I'm so glad you are feeling good enough to go! I'm so excited about stamping again! You are totally awesome, Angel... I hope you know that! I'll be back soon with my card! My favorite color is a Turquoise Blue.. (Tempting Turqouise for those SU! folks.) Always has been..goes back to the color on my dad's military uniform! I'm so glad you're feeling better. My favorite clor is purple, a very royal color. I use a variety of colors in card making, but tend to lean toward the jewel tones. Sounds like a fun challenge!! I'm not good at RED cards. My favorite color is Pink. Pirouette Pink from Stampin' Up! is probably the perfect pink for me! I guess I inherited it from my mother. My favorite color is green - it is such a versatile color that can be used for ANYTHING, and it totally calms me. So happy you are able to do this and I am able to play along this year!! WAHOO!! It's a challenge. I'm glad you are able to roll onward. I participated last year and have lurked on your blog (sorry I'm bad at posting comments). I hope to make all your sketches this time but will probably have to bulk them up on the weekends. For today's question, my favorite color is purple - all shades make me smile. I have waited since the end of last year's days of angelosity for this to start again. I am so glad you are feeling better and ready to start. My favorite color is purple. It seems to be a popular choice today! Thanks again for offering all this wonderful fun. Glad you received good news!! My favorite color is actually pink...but I love purple too (hence the purple rubber)!!! Glad to hear things went well at the dr's appt! My fav color's purple ... and I'll be back to post a card later! TFS! so glad you got good news! I'm away from home and can't play until at least Saturday evening or Sunday when I will will be catching up. But, I will say that my fave color is turquoise- well, really it's any of these colors, blue, turq., or pink with brown! HOT PINK!!! I'm hoping to start on your challenges tonight. What you're doing is pretty great!! So glad you are feeling better and doing your Days of Angelosity again. I will try to participate. I really enjoy your blog. Thanks for sharing and being so generous. 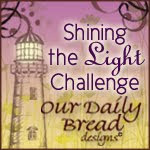 WOW WHat an opportunityt to be challenged.> I Will try and get some of these done! BTW my fav color is GREEN!! Thanks for all you do for us little people! Ok.. I'm starting off behind, but I'm playing! Here's my card for Sketch 1! Earth Elements are my favorite. I forgot to say that blue was my favorite color in my earlier post. My favorite color is blue. Can't wait to see all the sketches. Yeah! I am so glad it is up and running again. For this first sketch I did a nugget box for a 3D challenge, but it works!!! My favorite color has to be brown, I love all shades of it!!! My color favorite is Pink at the moment.Hopefully I get the chance to make a card with that wonderful Sketch. Hey Angel!! How are you?? I'm glad to see you are working on this birthday-blogabration thing! My favorite colors are blues/greens...can't decide on just one! My favorite color is hot pink ! Ok, I am going to do my best and participate. Is it too late to go back and answer the questions I missed? If so - I will just do it for fun! Ok.. something didn't work with my link.. let me try it again. Ever since my daughter was born, I've become a PINK girl!!! Hey Angel. My favorite color is PURPLE. My stamping room is painted purple. My husband did that for me. Later. my favorite color is olive green...thanks for chance to win...love the candy and your site! My favorite color lately is a dark dark brown. Chocolate comes to mind...must be hungry! My favourite colour seems to change all of the time but I think right now it's chocolate brown (that and certainly celery green are my wedding colours!). Hopefully I'll be back later to post a card for the sketch. My favorite color is purple...I think. I hope to play along on some of these. I'm back and I've made two bag toppers from this sketch. My favorite color is pink. Not because it is a girly-girl color (that I am not), but because I am a breast cancer survivor. My favorite color changes often, but lately it seems I have been drawn to Baha Breeze. I just found your site on Stamp Happy with Jami aka Sgt Stamper, am subbing and joining in your birthday blog celebration. Glad all is well. My fave color is RED! I like this challenge color, but I just wish I had the time to participate in the card making. My new job takes a lot from my time. Thanks for the fun questions though. What a cool way to celebrate - I wish I had found your blog sooner! My favorite color is red...off to check out the rest of your celebration!